The scientists studying these creatures have worked on its mechanism for decades now. However, they have not been able to isolate the property (e.g., the cell) that allows flatworms to regenerate in this extraordinary manner. The most recent breakthrough in this area of research was the identification of a stem cell marker, most likely associated with the planarians capacities. This discovery has allowed one team to identify the specific cells that enable such impressive and widespread bodily regeneration. Planarians are relatively simple organisms, particularly in terms of their nervous systems. However, these flatworms also have muscle, skin and light-sensitive tissues that act as eyes. They can also regenerate each and every single one of these tissue types, if necessary. Planarians have shown such ability for years now, even in response to experimental irradiation. They perform these acts due to a type of cell called an adult pluripotent stem cell or neoblast. In general, humans lack these characteristics, which is why re-growing an amputated limb or completely recovering from most spinal injuries has been impossible. Therefore, scientists have been studying neoblasts in the Planaria species for centuries now, in the hope that their properties can somehow be translated into improved human medicine. This body of work has resulted in a lot of knowledge on neoblast functions, life-cycles, and the differentiation into specific tissues. However, scientists were still not able to differentiate true neoblasts from other planarian cells (e.g., those just starting to differentiate into normal body cells) in some important ways. An example would be the specific cellular markers that might ‘label’ a neoblast for what it really was. Research with advanced genetic, single-cell and imaging analysis has only recently identified such a marker. Known as piwi-1, this marker is thought to be strongly associated with neoblasts and the ability to repopulate tissues in a flatworm. Therefore, a subsequent project focused on using piwi-1 to isolate neoblasts from other cell types in the planarian. Led by Alejandro Sanchez-Alvarado, who holds an investigator post at the Stowers and Howard Hughes Medical Institutes, the research team divided a sample set of flatworm cells into ‘high-piwi’ and ‘low-piwi’ cells. The advanced flow cytometry, cell imaging, bioinformatics and molecular analysis facilities at the Stowers lab facilitated the investigators to discover that the ‘high-piwi’ cells actually fell into slightly different categories. For example, some of them were in the first stages of transformation into the adult skin cells or muscle cells. However, others were genuine, non-differentiated neoblasts. These findings allowed for greater insights into historical experiments, in which cells that were taken for neoblasts had limited probabilities of functioning properly under certain conditions, such as being transplanted from one flatworm into another. The Howard Hughes/Stowers group reported that only two specific cell types (named Nb1 and Nb2, respectively) from the larger ‘high-piwi’ groups had the attributes necessary to be considered pluripotent stem cells. Furthermore, Nb2 also exhibited the gene tetraspanin 1, which coded for a cell-surface protein (TSPAN-1) found in ancient animals without completely definitive functions or rationales known to science. The scientists found that the use of an anti-TSPAN-1 antibody allowed them to isolate Nb2 cells with much greater accuracy and efficiency. The True Neoblast: Finally, Isolated! The team was able to extract Nb2 cells for further testing. 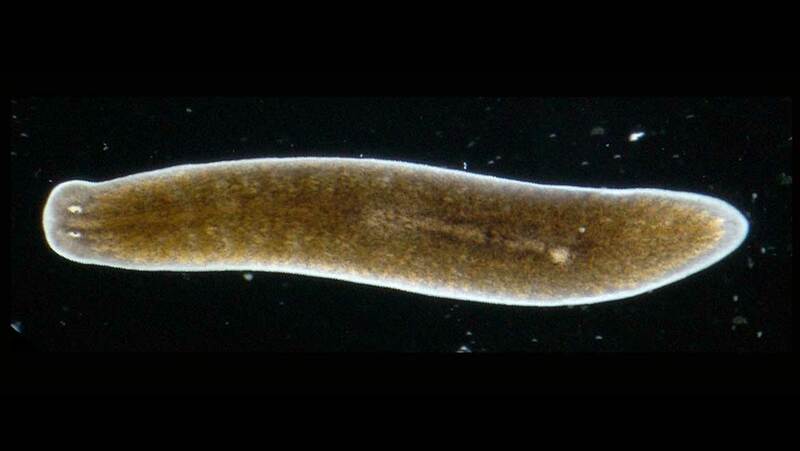 They reported that the transplantation of these cells into flatworms, exposed to a lethal dose of radiation, allowed the animal to regenerate itself completely. Individual Nb2 cells could also reportedly survive sub-lethal doses and also undergo proliferation to produce whole flatworms, by themselves. All in all, this study has provided valuable insights into planarian neoblasts. In addition, it may have demonstrated why cells with markers or biochemical properties, linked to pluripotency, sometimes failed to perform as expected of them, in certain studies. Finally, the investigation may have identified the authentic neoblast in this species and provided a way to isolate it for further research. These findings may help medical researchers develop improved techniques in regenerative medicine, one day. This new knowledge may, in the future, even help patients who have experienced severe trauma such as amputations. A. Zeng, et al. (2018) Prospectively Isolated Tetraspanin<sup>+</sup> Neoblasts Are Adult Pluripotent Stem Cells Underlying Planaria Regeneration. Cell. 173:(7). pp.1593-1608.e1520. E. L. Davies, et al. (2017) Embryonic origin of adult stem cells required for tissue homeostasis and regeneration. eLife. 6.